Richard N. Morrison – Retired – Salmon, Lewis & Weldon P.L.C. Richard Morrison’s practice has historically been focused on water law, environmental law, and issues facing special districts and agriculture. From 1985 through 2003 much of his work fostered negotiated settlements of Indian water rights claims. He worked on four completed settlements in Arizona. At the present time Richard serves as Special Water Counsel to the Town of Gilbert, negotiating water leases with Native American tribes. His commitment to water law and policy extends well beyond his practice into the work of universities, non-profit groups, and charitable trusts. 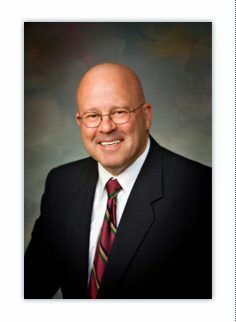 As an example, he is a Trustee of the Farm Foundation in Chicago, Illinois, and a member of the Executive Committee of the Arizona Agribusiness and Water Council. He has served for 32 years on the Board of the Morrison Institute of Public Policy at Arizona State University, advising the Institute on matters of water policy, and he is currently chairman of that board. Similarly, he is on the external advisory board to the Arizona Water Resources Research Center at the University of Arizona. Richard has also taught water resources management at Arizona State University in the Morrison School for Agribusiness, where he is a faculty member for the school’s water resources management professional development program. In addition to his legal work, Richard serves as an Episcopal priest. In that context Richard frequently speaks about the global water challenge and its relationship to food insecurity, as well as its corresponding cause of social and military conflicts. “State and Federal Law Conflicts Over Indian and Other Federal Reserved Water Rights,” Drake University Agricultural Law Review, Vol. 2., No.1, Spring 1996. “The Evolution of Environmental Ethics,” University of Denver Water Law Review, Volume2/Issue 1/Fall 1998. “Virtue Ethics and Sustainability Policies.” Drake Journal of Agricultural Law, Volume 12, No.1, Spring 2007. “Ethical Behavior and Public Virtue” Project Civil Discourse, Arizona State University, 2008. “A Call for Public Virtue” Philosophy Colloquium, Northern Arizona University, 2008. “Culture and Global Water Crisis” Jesuit Alumni of Arizona, 2008. “Fundamentals of Water Law in Arizona: Protecting Water Rights, Use and Quality” National Business Institute, 2002 and 2003. “Recent Developments in Arizona Water Law” National Business Institute, 2001. “Negotiating Conflicts Over Indian and Other Federal Reserved Water Rights” American Agricultural Law Association Symposium, 2001. “Organization and Governance of Irrigation Districts” Roosevelt Water Conservation District workshop for engineers and resource managers from Uzbekistan, 1999. “Environmental Ethics” CLE International, August 1998. “Water Law Impacts on Land Use” Land Use Seminar, CLE International, 1997. “Fundamentals of Water Law in Arizona: Protecting Water Rights, Use, and Quality” National Business Institute, 1997.